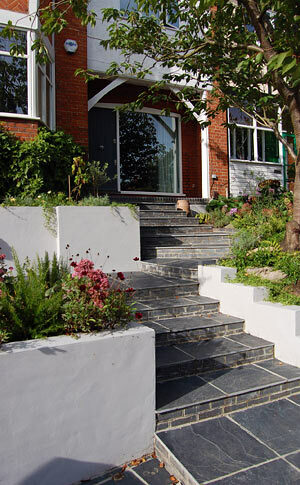 Archplan's second project on the street, our local planning expertise meant planning permission and project completion was very fast. 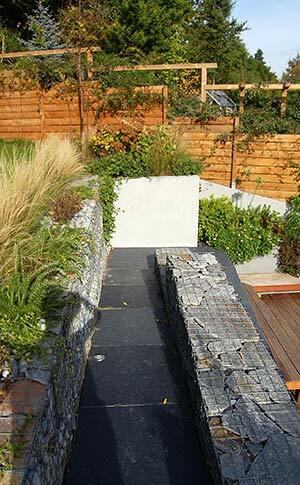 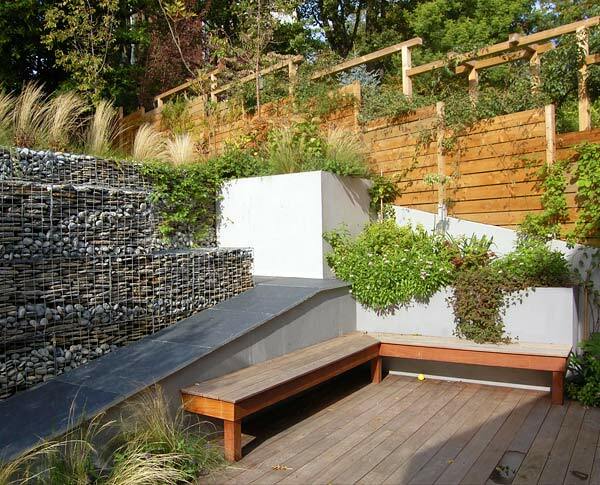 Excavation of the steep slope to the rear of the site created a dug out terrace and stone clad retaining wall. 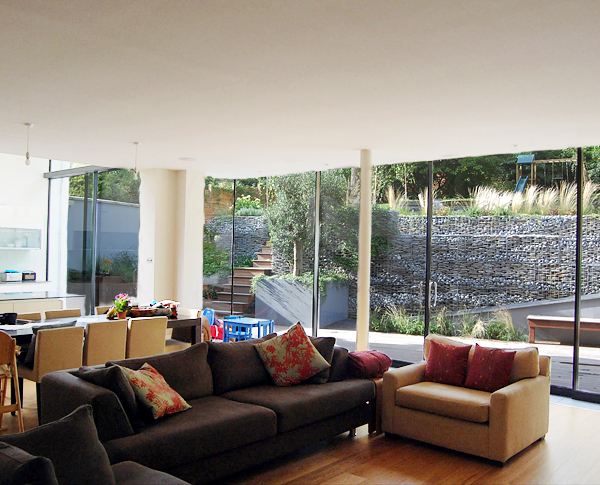 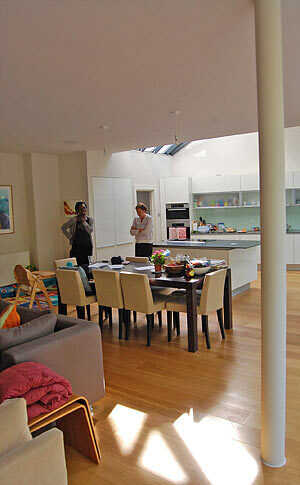 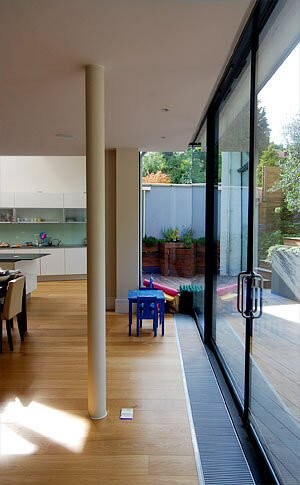 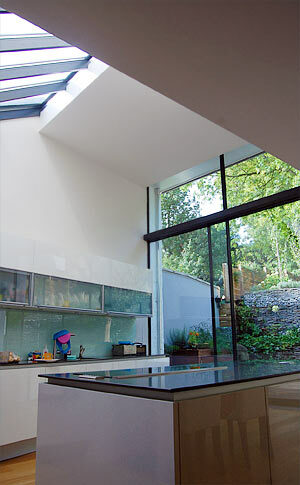 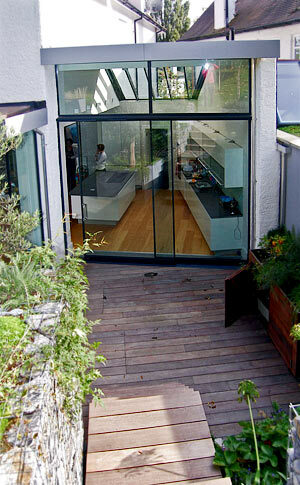 When planted and viewed through the full height glass wall, these became the fourth wall of the living room. 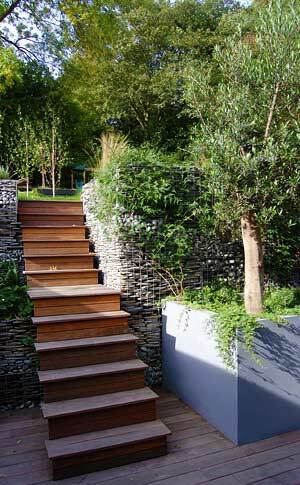 We worked closely with garden designer Adam Shepherd.